A thick layer of nickel-gold alloy with good electrical properties on the copper surface can protect the PCB for a long time. 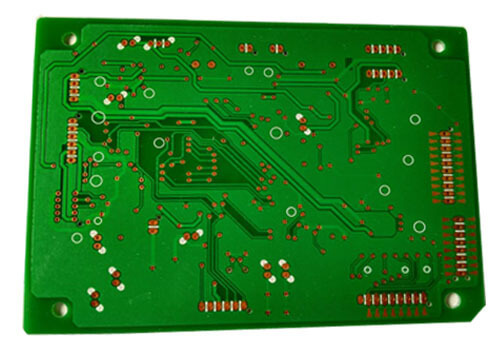 Unlike OSP, which is only used as a rust-proof barrier layer, it can be useful in the long-term use of PCB and achieve good electrical performance. In addition, it also has the environmental tolerance that other surface treatment processes do not have. The conductors of PCB are plated with nickel and then plated with gold. The main purpose of nickel plating is to prevent the diffusion of gold and copper. Currently there are two types of nickel gold plating: soft gold (pure gold, which indicates a dull surface) and hard gold (a smooth, hard surface containing cobalt and other elements, which gives a shiny surface). Soft gold is mainly used for chip packaging when gold wire; Hard gold is mainly used in non-soldering electrical interconnections (eg goldfinger).